job of recycling and converting all kinds of organic materials that otherwise would rot and go to waste on landfill sites into nutrient rich worm castings. 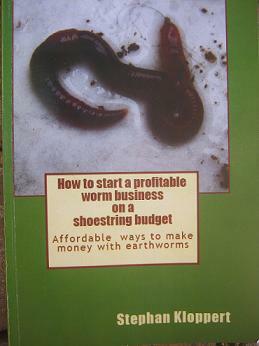 Worm castings (worm poop) are amongst the most balanced natural fertilizers known to man and contrary to compost straight away usable as plant food. Now aquaponics is the amazing concept of growing fish and plants together in a mutually beneficial system. 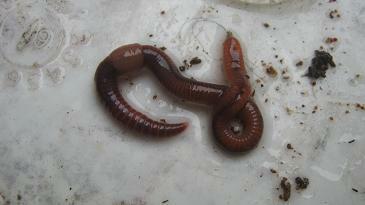 Compost worms added to an aquaponics bin. It is a combination of aquaculture and hydroponics. Nitrifying bacteria grow on a media like gravel, clay pebbles or any other suitable material and convert the fish poop first into nitrites and then into nitrates which the plants will feed on and in this way remove from the system. 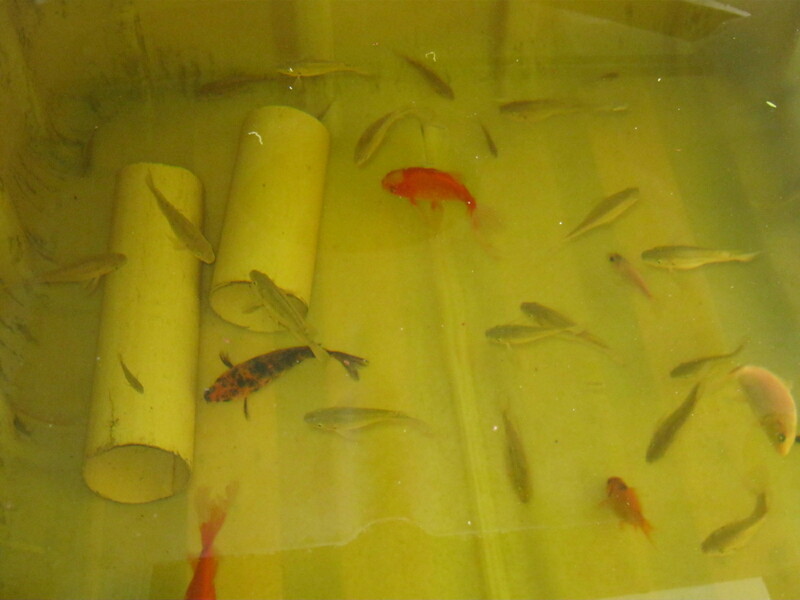 Mosquito fish, Goldfish, Koi and Tilapia in an aquaponics system. Nitrates and especially nitrites are very poisonous to fish and if they build up in the water they will kill the fish. So the nitrifying bacteria are essential to convert the fish waste into a form that the plants can consume. Another very toxic substance that will be deadly to fish if allowed to build up to even low levels in a closed water system is "ammonia". it is produced by the fish, excess food and any decomposing materials in the water.Apart from taking care not to overfeed the fish which can lead to excess food being pumped into the plant medium it is always good to remove plant material from the bottom of the tank the fish live in to reduce the risk of ammonia production in the water. 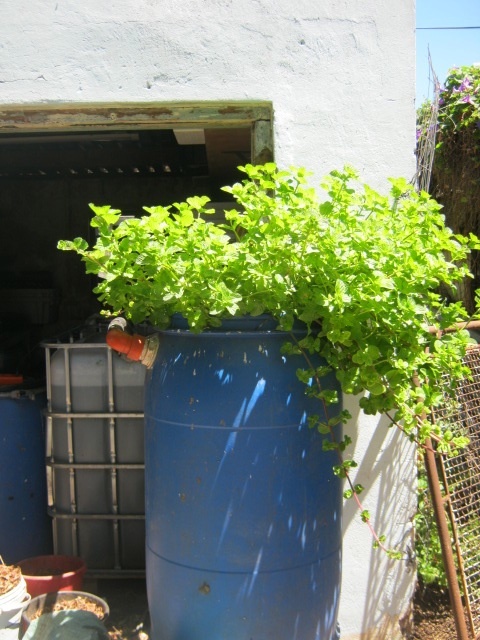 Mint plant growing in an aquaponics system fed by fish and worms. This is where worms come in very handy and are the perfect addition to any closed aquatic system that uses freshwater fish. 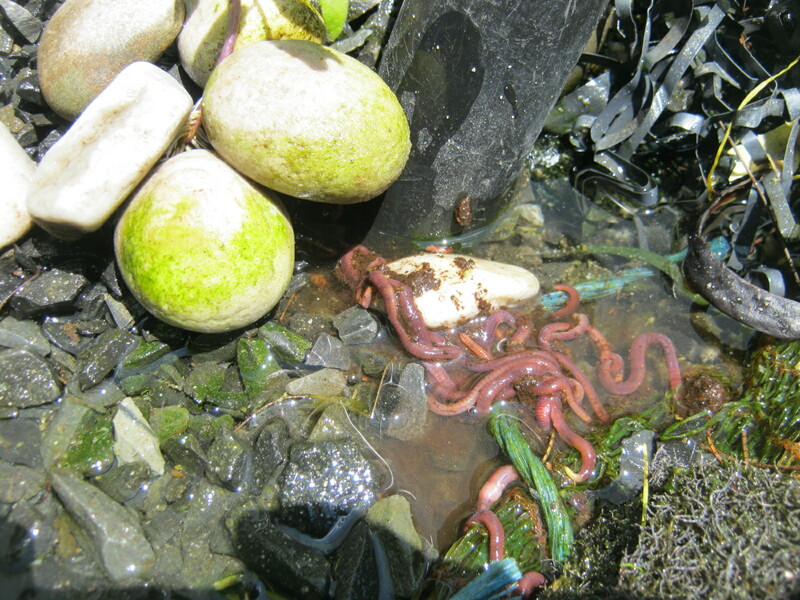 Worms can live comfortably submerged in water, they even thrive in it as long as it contains enough oxygen and provides them with some sort of decomposing organic materials as food. The running water in an aquatic system usually provides ample oxygen for worms and the soft fish poop, uneaten fish food and decomposing plant materials are easy to swallow and digest. Through their actions they remove large amounts of potentially harmful organic materials from the water and in return provide the plants with worm castings which will dissolve in the water and act as welcome nutrition for the plants. 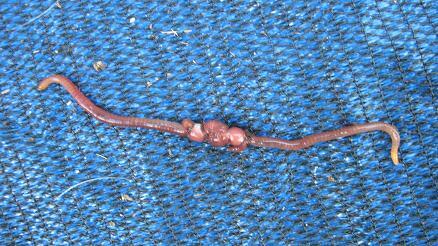 Worm castings are contrary to "Nitrites and Ammonia" not harmful to fish. 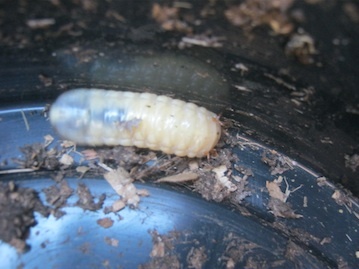 Worms will as well be helpful to keep the growing media clean of old leftover roots from plants that have been replaced after they finished their live cycle. 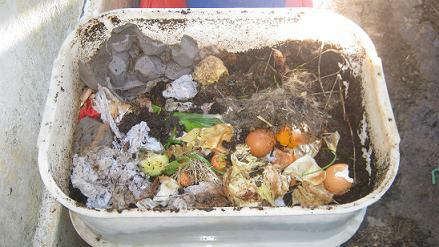 This is another great way to recycle organic waste materials with the help of compost worms. In addition to keeping the water balanced you can grow many kinds of fruit, herbs and vegetables and even tasty fish like tilapia. 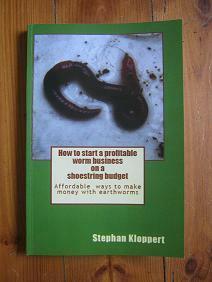 Return from the "Compost worms page" to the "Home Page"